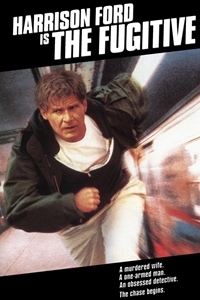 Harrison Ford stars as Dr. Richard Kimble, convicted of murdering his wife. While being transferred to prison by bus, Kimble is involved in a spectacular bus-train collision (one of the best of its kind ever filmed). Surviving the disaster, Kimble escapes, vowing to track down the elusive professional criminal whom he holds responsible for the murder. Dogging the fugitive every foot of the way is U.S. marshal Sam Gerard (an Oscar-winning turn by Tommy Lee Jones), who announces his intention to search "every whorehouse, doghouse, and outhouse" to bring Kimble to justice. Part of the Films Set in Illinois Series at the Lindo Theatre. Shows at 1pm and 7pm. Admission $6. A film discussion will be held after each movie.